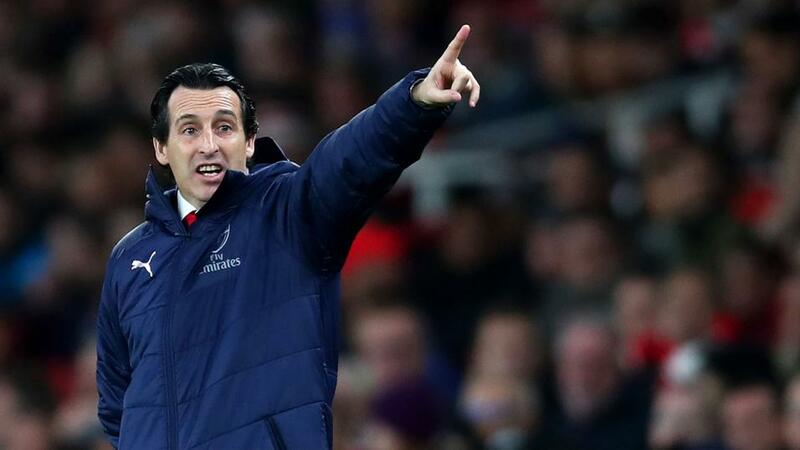 Will Unai Emery point Arsenal towards victory over Southampton? Arsenal could move into the top four with a victory over Southampton. Opta rates their chances. "Arsenal have conceded 999 Premier League goals and could become the eighth team to concede 1000 in the competition." Both teams to score is [1.75]. Arsenal are unbeaten in their last 23 home league games against Southampton (W17 D6) since a 0-1 loss in November 1987. The Gunners are [1.54] to win. Southampton have won none of their 19 away Premier League games against Arsenal (D5 L14) - the most a team has played away at another without ever winning in the competition. The draw is [4.7]. Having won the reverse fixture, Southampton are looking to complete their first league double over Arsenal since the 1987-88 campaign, when a 17-year-old Alan Shearer netted a hat-trick on his first league start for Saints. A Southampton win is [7.0]. Arsenal are unbeaten in 12 Premier League home games (W10 D2), winning the last six in a row. Against sides starting the day in the relegation zone, the Gunners have won their last 30 at the Emirates since a 4-4 draw with Tottenham in October 2008. Arsenal are [2.3] to win half-time/full-time. Southampton are unbeaten in their last four Premier League away games (W2 D2). They last had a longer run without defeat on the road between August-November 2015 (W2 D4). Southampton are [2.7] to avoid defeat in the Double Chance market. Arsenal have conceded 999 Premier League goals and could become the eighth team to concede 1000 in the competition. Both teams to score is [1.75]. Southampton have dropped a league-high 17 points from winning positions in the Premier League this season, while only Leicester (13) have won more from behind than Arsenal (12). The Southampton half-time/Arsenal full-time double result is [23.0]. Southampton striker Charlie Austin has scored in all five of his Premier League games against Arsenal. Only Raheem Sterling (6 vs Bournemouth) has a better 100% record of scoring in every game against an opponent in the competition. Austin is [3.7] to score. No player has scored more winning goals in the Premier League this season than Arsenal's Alexandre Lacazette - eight of the Frenchman's 10 Premier League goals have been the winning goal of the game. Lacazette is [2.1] to find the net. Pierre-Emerick Aubameyang has had a hand in nine goals in his last six Premier League games at the Emirates for Arsenal (6 goals, 3 assists). Aubameyang is [1.95] to add to his goal tally.